At the federal, state, and local level, Second Harvest stays on top of the policies that affect our clients. This year, the programs designed to help them—effective and desperately needed food safety net programs—are under particularly heavy threat, especially at the federal level. But those threats are drawing the supporters of those programs out to defend them, and this summer food bankers in California are celebrating a major policy victory. Governor Brown’s January budget had eliminated funding for CalFood, which provides emergency food to the state’s residents through food banks and also supports farmers and farmworkers through the purchase of California-grown food. This at a time when fears of immigration-related crackdowns are driving families away from CalFresh and agricultural communities continue to face high unemployment. Second Harvest leapt into action, encouraging supporters to contact their representatives, leveraging our relationships with other organizations, and joining with the California Association of Food Banks to remind the governor and state legislators how critical and effective CalFood is, to families, to individuals, to the ag industry, and to the state as a whole. We’re happy to say they listened, and the efforts of CalFood’s supporters paid off. The legislature allocated $8 million for the program for 2017-18, including a first-ever $6 million annual guarantee. This will help the work of food banks all over the state, and here at Second Harvest, our $83,000 portion will allow us to buy an extra 500,000 pounds of produce—that’s about 20 semi-truckloads! 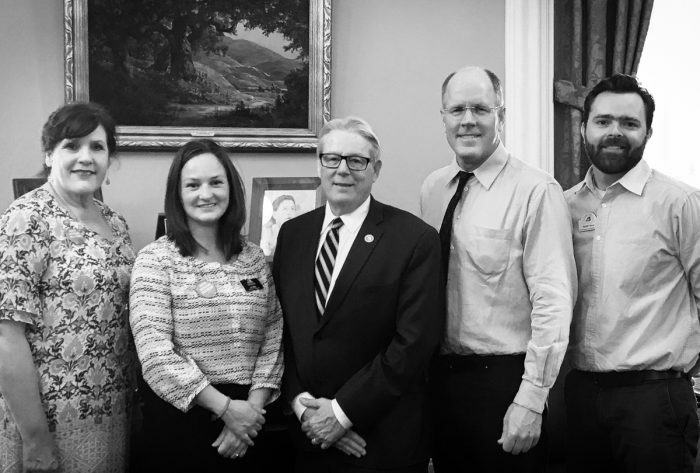 We’d like to thank our local state Senator Bill Monning for his strong support of the program, and everyone inside the legislature who voted for the program and outside who fought for it and helped Californians win this historic victory.